At the precise moment that Donald Trump was giving his acceptance speech, I was in a room packed with a thousand people in Sydney, Australia, listening to Maria Tiimon Chi-Fang, a leading activist from the island state of Kiribati. All day I had been sending e-mails with the subject line “It’s the end of the world.” I suddenly felt embarrassed by the privilege of this hyperbole. We all need to get ready to warrior up. If Trump does what he says and rolls back the (insufficient) climate progress won under Obama, inspiring other nations to do the same, Chi-Fang’s nation and culture will almost surely disappear beneath the waves. Literally, the end of their whole world. Chi-Fang talked about how the Paris climate negotiations was a rare moment of hope. It’s not a perfect text, but island nations waged—and won—a valiant battle to include language reflecting the need to keep warming below 1.5. Celsius. “We didn’t sleep,” she told the crowd. 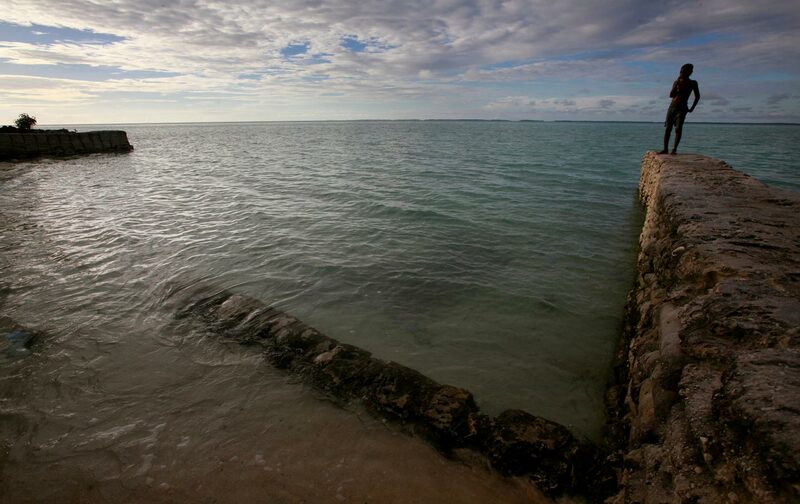 That 1.5 degree target gives Kiribati and other low-lying islands a fighting chance at survival. But we know that meeting that target, or even the more lenient 2 degree one, means we cannot sink a single piece of new fossil-fuel infrastructure. We have already blown our carbon budget just with the fossil fuels currently in production. That’s right: warm the planet as quickly as possible, and burn the paltry life jackets currently being thrown to the people who will suffer most. And lest there be any doubt that Trump means it, he just appointed Myron Ebell, from the climate-denying and scientist-harassing Competitive Enterprise Institute, to transform the Environmental Protection Agency. This is just some of what is at stake if Trump does what he says he will do. We cannot let him. Outside the United States, we need to start demanding economic sanctions in the face of this treaty-shredding lawlessness. In North America, where the carbon that Trump wants to unleash is currently buried, we all need to get ready to warrior up—and if you want to know what that looks like, turn your eyes to Standing Rock.